Feeding a family is a snap with this dinner that's on the table in less than 30 minutes. 1. Mix the chicken and salsa in small bowl. 2. Mist 1 side of each tortilla with cooking spray. Place the misted side down in a large (25 cm) non-stick frying pan. Sprinkle about 25 grams of cheese over the tortilla. Layer with 1/4 of the chicken mixture and sprinkle with an additional 30 g of cheese. Top with another tortilla then mist the top of the tortilla with cooking spray. 3. Cook uncovered over medium heat for 2 minutes each side, until golden brown. 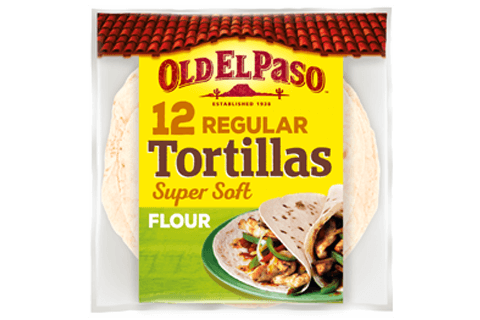 Repeat with remaining tortillas, chicken mixture and cheese. 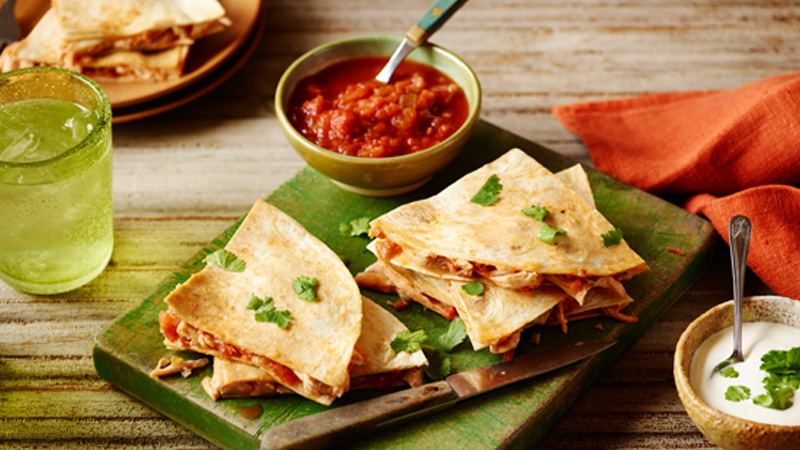 Cut each quesadilla into wedges and serve with soured cream and additional salsa. To make Quick Chicken and Vegetable Quesadillas, sprinkle 2 tablespoons chopped tomato, 1 tablespoon sliced ripe olives and 1 tablespoon sliced green onions over the cheese for each quesadilla.